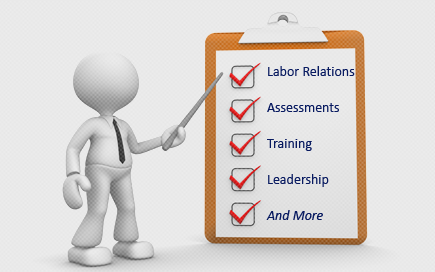 Labor Relations News Update December 12, 2014 | Oliver Bell, Inc. The National Labor Relations Board is expected to issue a raft of decisions before the mid-December departure of one of its members, with rulings important to businesses, unions and university athletics potentially among them. The board doesn’t publicly disclose the timing of decisions but has routinely completed a flurry of them in the weeks before a member’s term expires. Former board members say this is internally called a “rush” and occurs in part to ensure that a departing member’s work hasn’t been wasted. It also mitigates the amount of catching up that incoming members must do. Businesses are concerned the five-member board’s Democratic majority will side with unions on the most contentious pending decisions, such as whether the board should move forward with a sweeping, proposed rule to streamline and speed union-organizing elections. The board is also considering whether employees should start having the right to use their employer’semail systems to form or join a union. Unions are hoping the board’s majority will take their side on those and other issues, including a case questioning whether Northwestern University scholarship football players should start being treated as university employees, who therefore can unionize. If the board says yes, the case could have broad ramifications for collegiate athletics by opening the door for similar unionization efforts at other private institutions. Board member Nancy Schiffer ’s term will expire Dec. 16. She has served for 16 months on the board, which has three Democratic and two Republican members. Ms. Schiffer is a Democrat. Members of the board have the final say on decisions made at lower levels of the agency. Northwestern University, for example, asked the board to overturn a lower-level decision that declared its scholarship football players to be employees. The board, which is an independent government agency, has the authority to engage in rulemaking, though it rarely has done so over several decades. Early this year, it revived the proposal for a rule that would streamline and speed union-organizing elections. It conducted public hearings but hasn’t announced further action on the matter, which drew opposition from the businesses community and congressional Republicans. As the end of Ms. Schiffer’s term nears, “the volume of decisions that are completed just prior to midnight on Dec. 16 is going to be greater than usual,” said Marshall Babson, a labor and employment lawyer in New York with Seyfarth Shaw LLP, who was an NLRB member during the Reagan administration. “The general view is that all resources are devoted to the decisions in which the departing board member has participated,” said Mr. Babson. The board could take several or more days to release its written decisions to the public. Another pending case could draw companies closer to the contract workers they use. The union in the case wants a company to be at the table in collective bargaining talks that involve its subcontracted workers, saying the union can’t adequately bargain for them unless the company is involved as a so-called joint employer. Business groups fear the board could use the case to change its decades-old standard for deciding when contractual arrangements render one business a joint employer of workers employed by another, which they say could defeat the efficiencies of contracts. Unions say the change is needed to address arrangements in which one company exercises control over wages and working conditions at another but has little responsibility for the workers. The Senate this week confirmed Democrat Lauren McFerranto succeed Ms. Schiffer by a vote of 54-40. The vote reflected a largely partisan split that underscores the political divide over work of the board. Congressional Republicans have accused the board’s Democrats of being union advocates instead of umpires, while Democrats have defended the board as a fair arbiter of workers’ rights. The board’s chairman, a Democrat, has said the board has acted fairly. TUCSON, Ariz., Dec. 11, 2014 /PRNewswire-USNewswire/ — The United Steelworkers (USW) today said that the unions which represent more than 2,000 hourly workers at five Asarco locations in Arizona and Texas won a multimillion dollar arbitration award for hundreds of employees that the company has refused to pay collectively bargained quarterly bonuses. USW District 12 Director Bob LaVenture, who chairs the unions’ negotiations with Asarco, praised the ruling on behalf of the Asarco workers hired since July 1, 2011, to whom the company now owes millions. LaVenture said that Asarco management’s strategy to discourage newer employees from joining the union by denying the bonus to them backfired. The National Labor Relations Board has adopted a final rule amending its representation–case procedures to modernize and streamline the process for resolving representation disputes. The rule will be published in the Federal Register on December 15, and will take effect on April 14, 2015. The final rule was approved by Board Chairman Mark Gaston Pearce and Members Kent Y. Hirozawa and Nancy Schiffer. Board Members Philip A. Miscimarra and Harry I. Johnson III dissented. The rule includes detailed explanations regarding the rule’s impact on current procedures and the views of the majority and dissenting members. The Board believes the rule will enable the agency to more effectively administer the National Labor Relations Act by modernizing its rules in light of modern technology, making its procedures more transparent and uniform across regions, and eliminating unnecessary litigation and delay. With these amendments, the Board will be better able to fulfill its duty to protect employees’ rights by fairly, efficiently and expeditiously resolving questions of representation. More information is available on a fact sheet on the Agency’s website, including a link to the final rule in the Federal Register, the majority views, and the dissenting views.